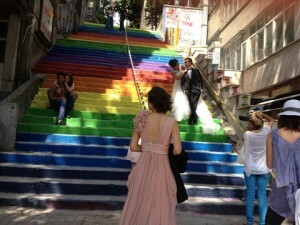 This entry was posted in LGBTQ Protests, News and tagged anti-government protests, Guerrilla beautification, İstanbul, Resist Gezi Park on 3 September 2013 . 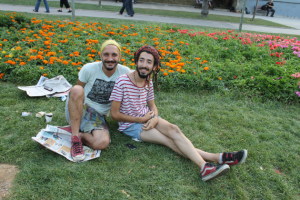 This entry was posted in LGBTQ Protests, News and tagged AKP municipalities, Beautification, Gezi Park activists, Istanbul LGBT Community, pluralism versus authoritarianism on 1 September 2013 . This entry was posted in Interviews, LGBTQ Protests, News, Personal stories and tagged Gezi Park, Gezi Resistance, LGBT on 20 August 2013 .
nerdesin aşkım / where are you darling from murat kurt on Vimeo. 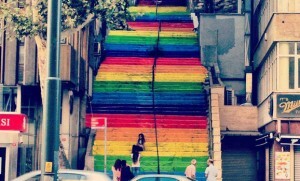 This entry was posted in LGBTQ Protests and tagged LGBTQ Protests on 1 July 2013 . 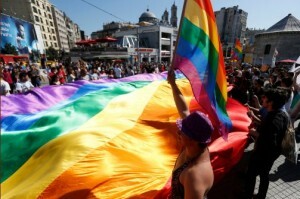 This entry was posted in LGBTQ Protests, News and tagged LGBTQ Protests, news on 1 July 2013 . This entry was posted in Feminist Protests, LGBTQ Protests, News on 1 July 2013 . This entry was posted in LGBTQ Protests on 13 June 2013 . This entry was posted in Essays, LGBTQ Protests and tagged Inside Gezi Park, LGBT on 7 June 2013 .